What could have taken me over 2 years to accomplish, upGrad helped me do in just 5 months. I transitioned from an Operations role into a Product Management role. User Research, Prototyping, Design Validation, Product Deployment, etc. The applicant should have at least 1 year of work experience and an undergraduate degree. An alumnus of IIT Madras and Stanford University, Akshay has an experience of more than 5 years in leading brands including Google, Flipkart and nearbuy.com. An alumnus of CMU, Neena has been working in the product industry for more than 6 years in companies such as Google, Ola and Hike. Jayant is an alumnus of IIT Delhi and has been working in the industry for more than 13 years. He has been part of companies such as Zomato, Paytm and Reliance. 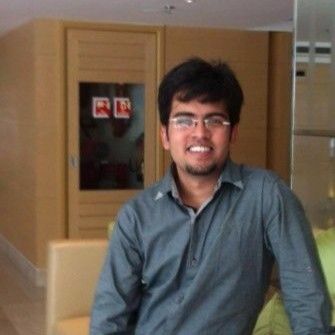 Gaurav is an alumnus of BITS Pilani and has been working in a product role for more than 5 years. He has worked with companies such as Oracle, Myntra and Hotstar. Suman is an ISB alumnus and has more than 14 years of experience in the industry. He has worked with companies such as Infosys, TLabs and Cleartrip. Suchir is an IIT Delhi alumnus and has more than 8 years of experience in the industry. He has worked at BCG, Amazon and Futures First. This course touches every aspect of Product Management you are required to know and becomes important, especially when it comes from industry leaders, such as Anshumani Ruddra and Panan Soni. The course also has real-life examples and assignments to make sure you get hands-on experience in each and every aspect of it. upGrad upskilled me to help me become something that I didn’t even know was possible. I grew not only in my career but also as a person. I can manage time and things better now. I have a great professional network, and what remains the ultimate truth is that I am a PM now. When I had to shut down my start-up within 10 months of its inception, I knew I lacked in understanding and testing the product. Now, not only have I plugged that hole by honing my skills in Product Management, but I am also interning with Zivame. After moving out of manufacturing, I could have taken up a sales job in a big organisation, but I would have not been satisfied with a 20-30% growth in my life. I was ready to struggle a bit to be up-to-speed with the latest developments in the tech world, and thus, I chose to upskill myself in Product Management. The original plan was to join a B-School and slowly transition into Product Management over 5 years. But I have done it in less than a year and also landed myself a role in Scootsy. upGrad's course on Product Management, which is in partnerships with leading market players, speeds up your learning in terms of market awareness. In addition to this, frequent live sessions with industry leaders help you get a better understanding of how to resolve challenges that you might face. Not sure if Product Management is the best fit for you? Complete an introductory Product Management 101 course for free.